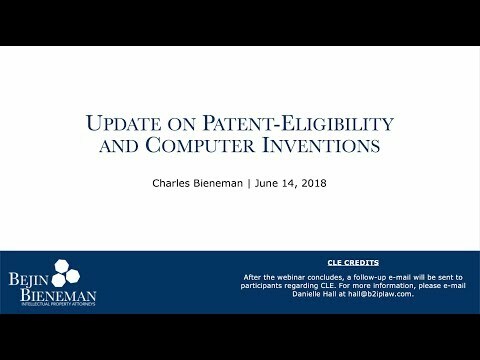 Charles Bieneman discusses recent developments in the law of patent-eligibility under 35 U.S.C. § 101, focusing on new USPTO guidance, and recent developments at the U.S. Court of Appeals for the Federal Circuit. The presentation concludes with practice tips drawn from the new and evolving law.